Ocean and Earth. 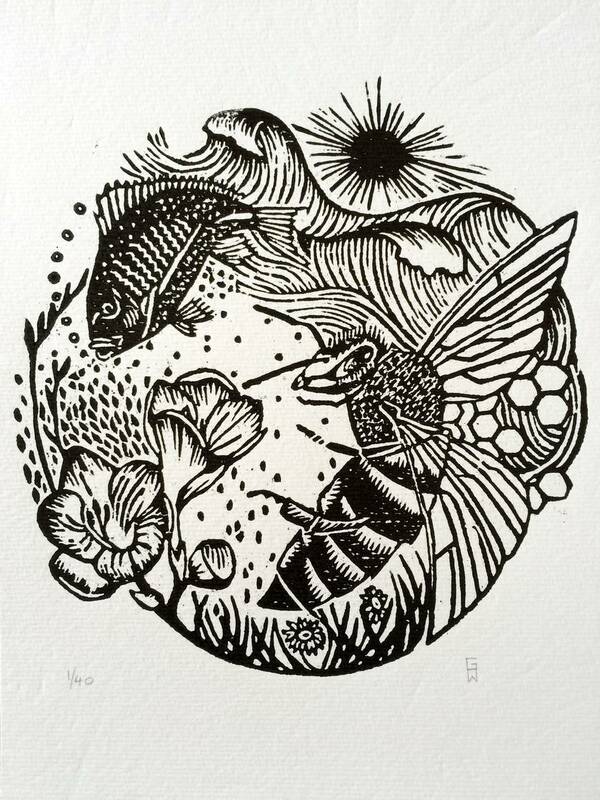 Woodcut print. Signed and numbered limited edition of 40. 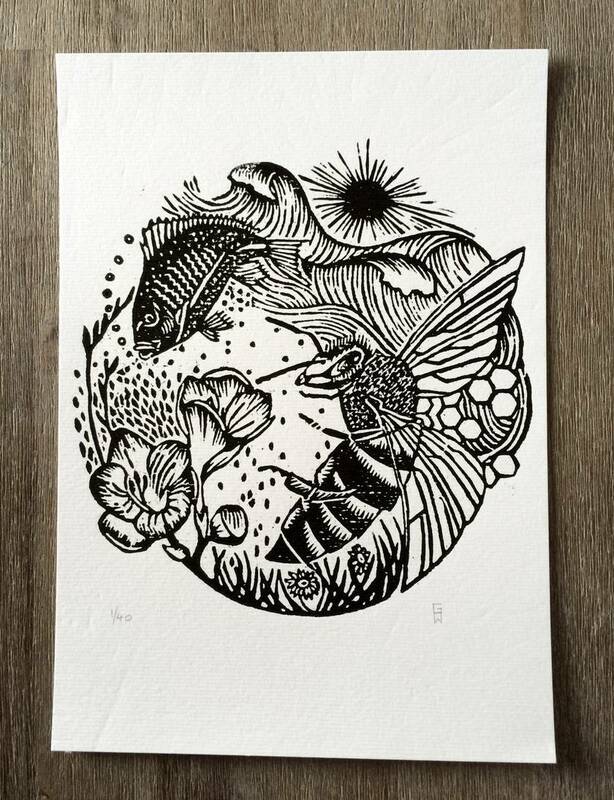 Hand carved woodcut artwork, hand inked and relief-printed onto 300gsm acid free textured paper. A4 size (210mm x 297mm / 8.27" x 11.69"). 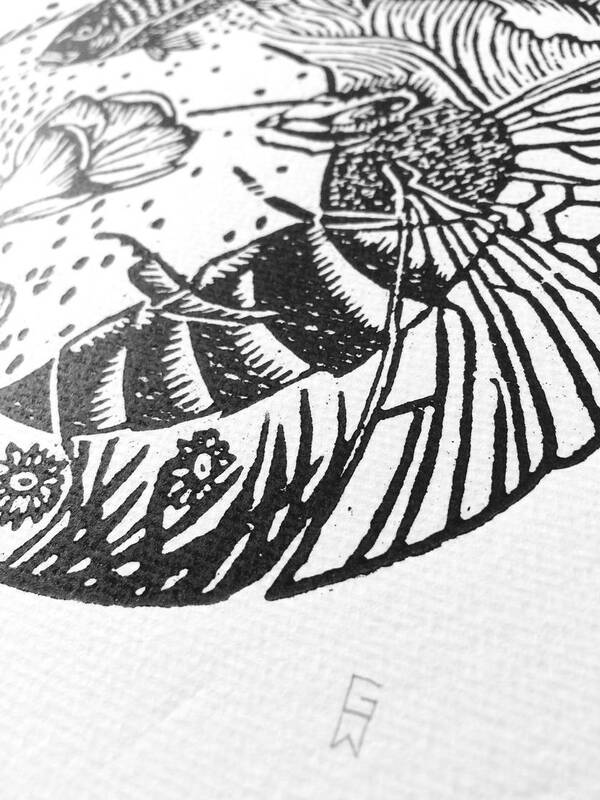 As this artwork is hand inked and printed, the prints will vary slightly from print to print. Contact george_art to enquire about payment or shipping options.